Leicester Coritanian's were the most successful club at the Midland Championships at Stafford Common, Stafford on Saturday 26th January. With three individual winners, an individual silver and a hat full of team medals to their credit the youngsters had an incredible day! 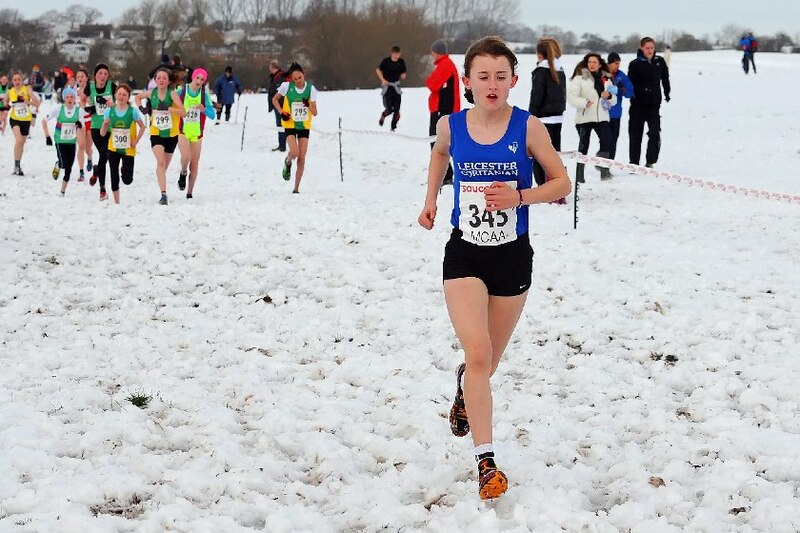 Knowing that the Southern Championships had been called off earlier in the week and that snow had been forecast with heavy rain to follow, it was possible that the event may have been cancelled as well. Thankfully the rain that had been predicted managed to stay away, but the 3-4 inches of snow that covered the heavy mud beneath made racing particularly hard, making it feel like the athletes were running in sand. 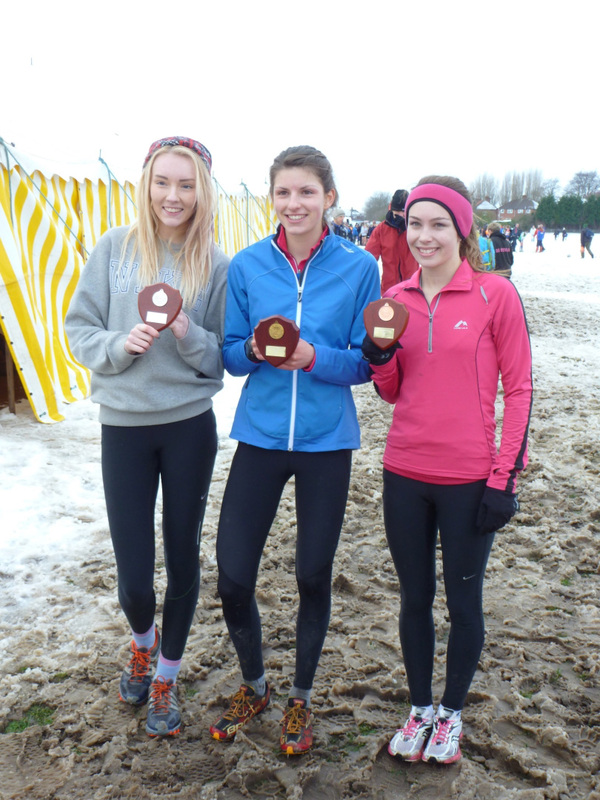 Newly crowned Midland's Champion Jordan Waine triumphed in the U13 girls race. The youngster was determined to make the title her own and so she hit the front after the first 200m and never relinquished the lead. Her winning time of 11.28 was 21 seconds quicker than Holly Bankes from Stroud & District. Superb team packing from Fran Green (10), Alison Curtis (19) and Neve Grimes (23) ensured that the girls took away the bronze medal. 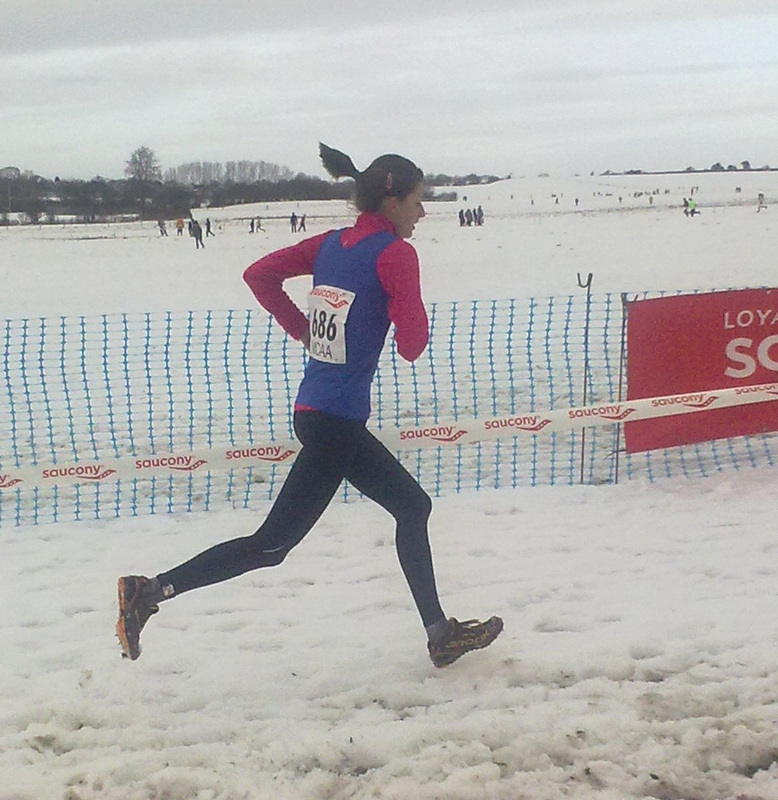 Connie-May Roper ran a brave race after being spiked at the start of the race to finish in 85th place. 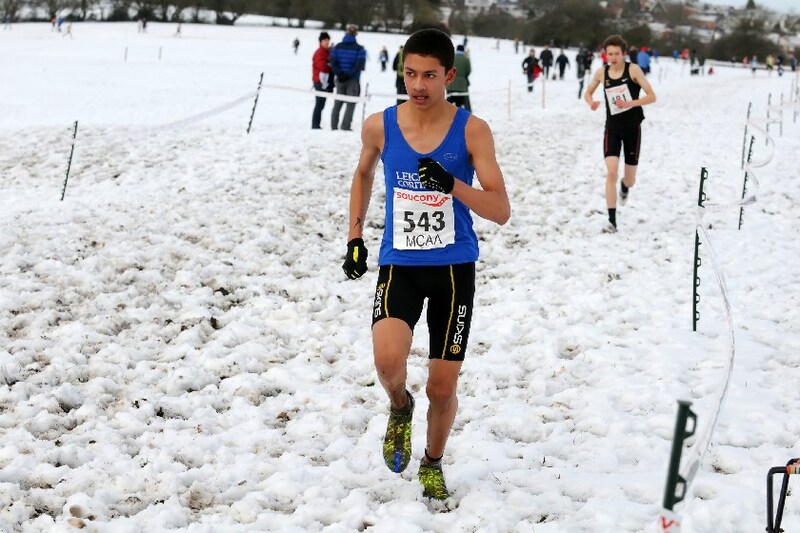 Ben Dijkstra continued his winning streak by taking the individual gold in the U15 boys race. Still a bottom aged athlete, Ben showed his power and strength in the home straight to beat Will Richardson, Birchfield Harriers by one second. The strength and depth of our athletes in the age group is such that not only did the boys take home the team gold, but they also took away the bronze team medal too and they were only 3 points behind silver team medallist's, Birchfield Harriers! In the U17 and U20 women's combined race, Mari Smith produced a stunning run to take the individual gold medal in the U17 women age group and finishing in second place overall in the combined race behind Bristol & West's Annabel Gummow. Mari made her move on the second lap to pull away from U20 Chloe Richardson and to try and track Gummow. With four runners in the top five placings, it was inevitable that Leicester came away with the team gold medal. Amy Griffiths (2) and Caelidh Ross (4) completed the team but great running from Ella Shirley (5) meant that she was unlucky to miss out on a medal. In the U17 men's race Harry Thompson had an outstanding race to finish in 4th place. He was involved in a sprint finish with Ellis Cross from Tamworth and although they were both given the same time of 17.43, the impeding arm from Cross was enough to ensure that Harry missed out on the bronze medal. In a close finish the men won the silver team medal just 5 points behind Birchfield Harriers with Tom Loring (13), James Hatton (15) and Cameron Hart (29). Another team medal came the way of the U15 girls with Caitlin Roper (9) leading the way with a strong run. Following Caitlin home was Alice Porter (21), Mikela Gilmore (22) and the fast improving Georgia Smith (25). Bottom aged Johnny Monk finished a great U20 men's race in 15th place.